Do you know what you’re getting that special Dad in your life this Father’s Day? I know, it’s not always easy shopping for someone as special to us as our dad, or the dads to our children. 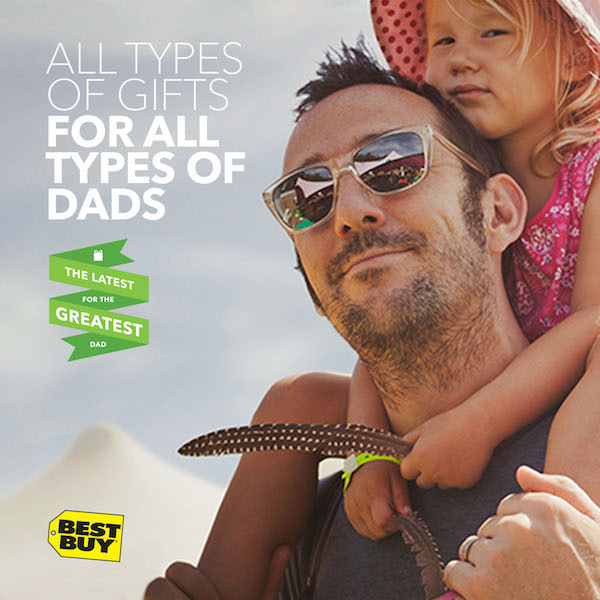 I love that Best Buy makes it easier to shop for dads. They have gift ideas by categories, so if you have a dad who is like mine (as well as my husband) the “Gizmo Guru”, you can just look under the Gizmo Guru section for gifts under $100 and you’ll find several great gift ideas just for the giszmo guru dad in your life. And that’s just to name a few. I’m thinking about getting my husband the Beats by Dr. Dre Clip-On Earbuds for my husband and my Dad flies helicopters, so I know he’d love the RemoProtocol Remote-Controlled Helicopter. I really appreciate that Best Buy has free shipping on qualified orders and a low-price guarantee. 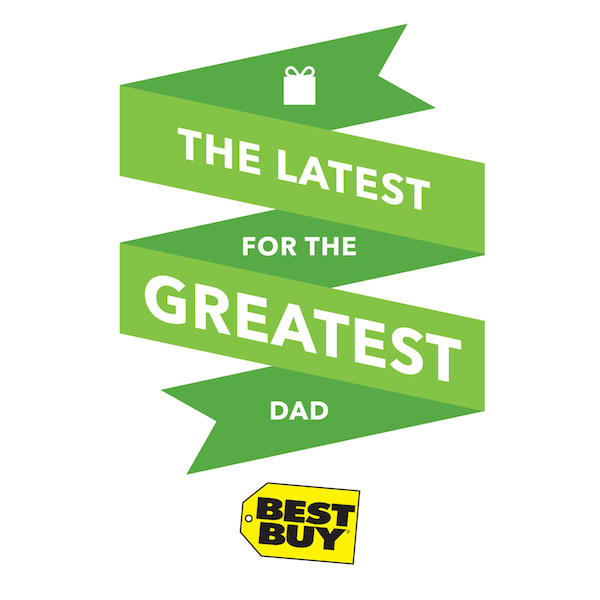 Whether the dads in your life are the Entertainer, Fitness Fanatic, Memory Maker, or like mine, the Gizmo Guru, you are sure to find awesome gifts for Dad his Father’s Day at Best Buy! Is the special dad in your life the ‘Entertainer’, the ‘Fitness Fanatic’, the ‘Memory Maker’, or the ‘Gizmo Guru’? Great list, this is going to make my life so much easier. I really like Best Buy, they have some great items and good prices for sure! Great list of goodies! My hubby loves his favorite meal and desserts (yes plural!)! If my husband had a choice he’d probably want everything on this list lol. My husband would be happy with an iPad Air. He actually was playing around with one when we were at Best Buy this past Wednesday evening. That being said he’s likely only getting a chocolate chip cookie LOL! Well goodness, if you can’t find something for the dad in your life in that list, I don’t even know what to say! I’d love to get my husband a new laptop for Father’s Day. My husband could definitely use a new sturdy case for his cell phone and I know he would go crazy over an Xbox too. There are some great suggestions listed here!